Ocracoke, N.C. (AP) – The only registered nurse on doctorless Ocracoke Island said today she believes a flu epidemic which has struck 300 of the 500 residents now is under control. 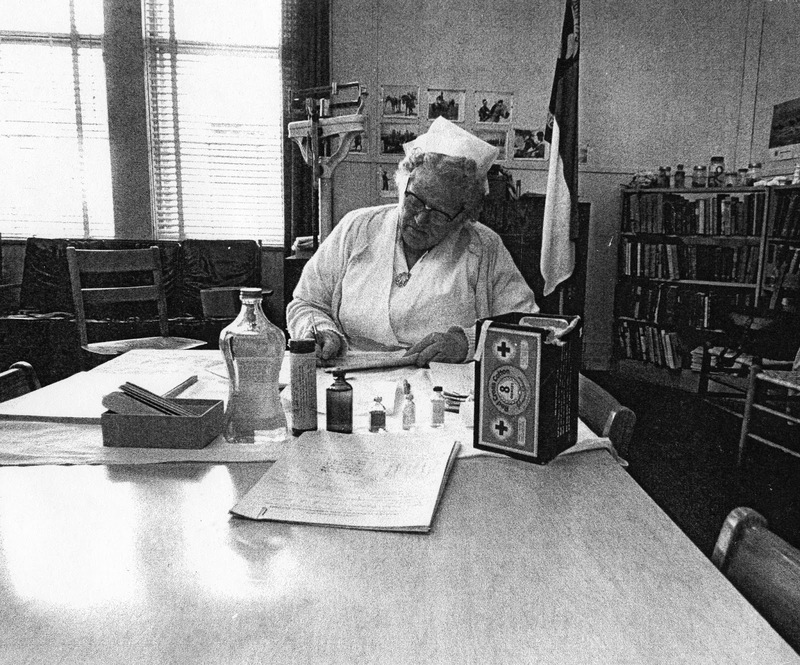 Mrs. Kathleen Bragg, herself abed with flu, said drugs sent from the mainland and from neighboring Hatteras Island, plus the visit of a Hatteras doctor, had controlled the situation. Dr. Garland Wampler, U.S. Public Health Service officer at Hatteras treated as many as he could among the estimated 200 bed patients on Ocracoke. Mrs. Bragg said he didn’t plan to return unless she told him the situation was beyond her control. She said the weeklong epidemic was not getting worse, and she felt she could handle it. Mrs. Bragg is treating the residents, mostly fisherfolk, by telephone and messenger. She has the help of a practical nurse, who gives antibiotic shots to the pneumonia cases and others who may need them. Yesterday I noticed this CBS headline: Drama on high seas as France-U.K. "Scallop Wars" escalate. It seems that tempers are flaring in the English Channel over those delectable shellfish. The article (you can read it here) reminded me of a similar feud right here on the Outer Banks, the so-called 1890 "Ocracoke Oyster War." The influx of “foreign” fishermen into Pamlico Sound in 1890 fomented considerable unrest on the island. On January 30 a small schooner with a work force from Core Sound arrived in Pamlico Sound intending to dredge for oysters. Earlier, they had been warned by Ocracoke oystermen that they would defend their beds with weapons. The situation was volatile, and a rebellion erupted. The Wilmington [NC] Messenger, described the situation in an article titled, “Civil War in Hyde County,” published Wednesday, February 5, 1890. “Ocracoke Island,” it said, “is in arms. 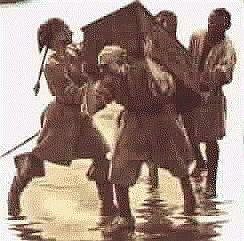 ['Foreign'] oyster men have been driven from the waters before the muzzle of shot guns. In case you missed our January, 2015, article you can read the whole story here: https://www.villagecraftsmen.com/1890-ocracoke-oyster-war/. 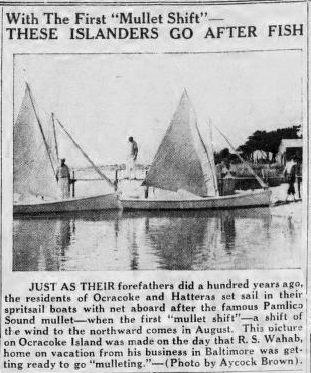 The electrification of Ocracoke in 1938 (with the accompanying ice plant) is recognized on Ocracoke Island as the catalyst for the blossoming of commercial fishing. Piloting (from the days of the island's first settlement in the early 1700s) and seafaring (after Hatteras Inlet opened in 1846, and sailing ships began using that inlet) had occupied most island breadwinners until the island was electrified. The ability to make ice allowed subsistence fishing to grow into a more viable commercial venture with markets on the mainland. On October 21, 1902 Thomas Wallace (“Mr. Tommy”) Howard was appointed postmaster at Ocracoke. He held the position for nearly 40 years, until he retired in 1941. 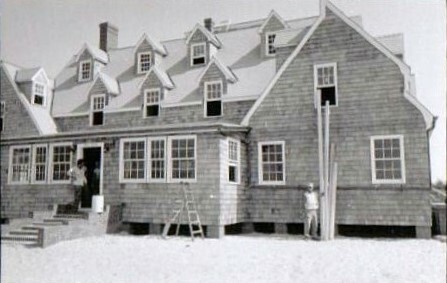 Soon after his appointment Mr. Tommy built a small building close to his home, the first of Ocracoke’s four dedicated post office buildings. Previously the post office was operated from the old store (where Captain's Landing motel is now located). 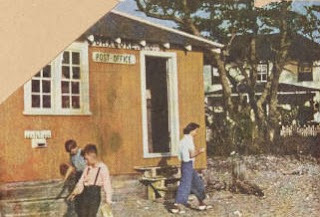 The other dedicated post office buildings were the small building that sat where Down Point Decoys is now located (the building has been moved, and is now a rental cottage behind Captain's Cargo gift shop), the brick building that houses Captain's Cargo, and the present Post Office on NC12. I am wondering if any of our readers knows where Mr. Tommy's post office was located. If you do, please leave a comment. Check back later for the answer. 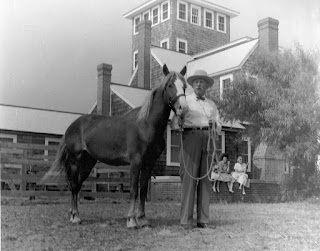 In the past I have written about Sam Jones, an eccentric businessman who had a significant impact on Ocracoke in the 1950s. "Testifying before a committee in Raleigh this week, Atty. 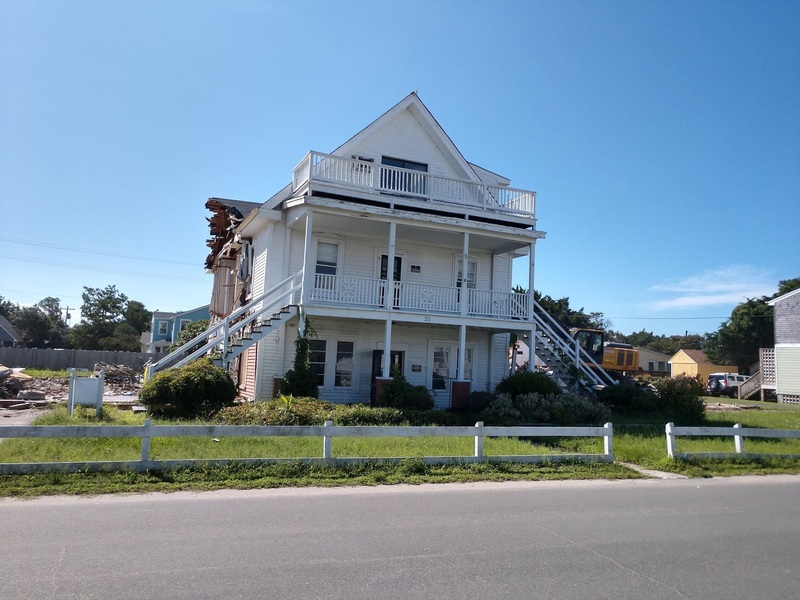 George T. Davis of Swan Quarter, representing Sam Jones of Norfolk, who is fighting the establishment of the Seashore Park, stated that Mr. Jones' clubhouse on Ocracoke is worth up to $70,000. "If that is true, then Hyde County is losing a lot of taxes that Mr. Jones ought to pay, for the total property valuation on Ocracoke Island last year, which included everybody's property, amounted to only $124,371. It might be most interesting to see how Mr. Jones lists his valuation on his Green Island Clubhouse, which is the only building in the park area. Mr. Jones' new home, now being built in the village outside the park boundaries, will cost another $70,000. "So his properties are worth more than the whole of Ocracoke Island on the Hyde County tax books." 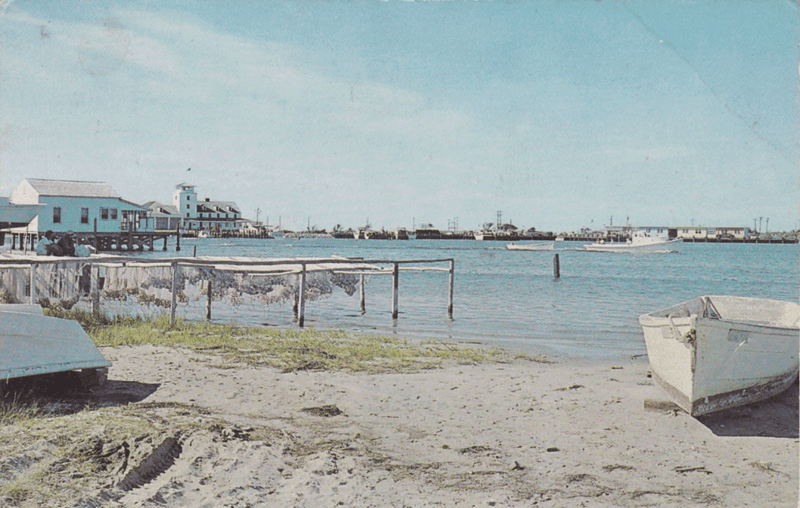 "Early Communication: Islanders simply wrote letters until telephones became widespread on Ocracoke; the arrival of the mail boat was a daily source of excitement whether it was receiving news or hearing other folk’s news. Once radios became available in the 1920s, islanders gathered to listen to fights, shows, and music. 'Dad would sit there a rocking and listening to the old fiddlers on the radio from Nashville,' recalled a resident. When televisions were introduced in the 1950s, reception was bad and only one or two stations could be picked up. By the 1970s people were worried, however, that television – as well as the growing crowds of tourists - would quicken the erosion of the local dialect." Cable TV arrived on the island in 1985. The Internet came to Ocracoke in the early 1990s, as it did to many other areas. Although the distinctive Ocracoke dialect can still be heard, it becomes increasingly more difficult to maintain as the years progress. Visitors to Ocracoke often ask about the American Civil War and how it impacted Ocracoke. Although Union forces invaded Ocracoke early in the war (they had already seized control of Hatteras Inlet), there were no military engagements on the island because there were no cannons or fortifications on Ocracoke. The fort on nearby Beacon Island, which had never been completed, was abandoned by Confederate troops before Union forces arrived. Nevertheless, the Outer Banks played a significant role in the early years of the War. Fred Mallison has written an excellent book about the Civil War based on official records, contemporary newspaper accounts, personal journals of the soldiers, and many unpublished manuscripts and memoirs. It is titled, The Civil War on the Outer Banks A History of the Late Rebellion Along the Coast of North Carolina From Carteret to Currituck. 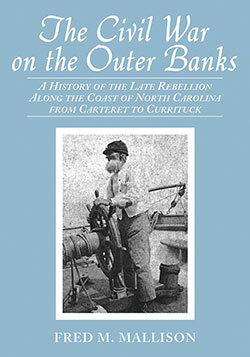 A description of the book explains that "the ports at Beaufort, Wilmington, New Bern and Ocracoke, part of the Outer Banks (a chain of barrier islands that sweeps down the North Carolina coast from the Virginia Capes to Oregon Inlet), were early involved in the chaos that grew into the Civil War. Though smaller than their counterparts in South Carolina, the small river ports were useful for the import of war material and the export of cash producing crops, through their use of the inlets that led from sounds to sea." I have written about Sam Jones before (you can read our Ocracoke Newsletter about him here). Sam was born in Swan Quarter, North Carolina, and moved to Norfolk, Virginia, when he was 13 years old. He had visited Ocracoke Island in his youth, and later married island native Mary Ruth Kelly, the daughter of a sailboat captain. Sam was a successful businessman, and in the 1950s he commenced building several large buildings on Ocracoke. These buildings were sided with cedar shingles, and were distinctive because of their size and many dormers. In 2010 the Virginian-Pilot published an article about Sam Jones and Marguerite “Peggy” Upton who were both born in 1893 and spent their formative years in Norfolk’s Berkley neighborhood during the "Roaring Twenties." Upton is described as "the quintessential American gold digger. She was the inspiration for the iconic Lorelei Lee, heroine of Anita Loos’ Gentlemen Prefer Blondes." Sam, on the other hand was deeply rooted in the Victorian morals of his childhood in eastern North Carolina. You can read the article, The Iron Forger and the Gold Digger, here: http://www.virginialiving.com/culture/the-iron-forger-and-the-gold-digger/. For a number of years I have known that the Outer Banks was somehow connected with the work of Reginald Fessenden. In Buxton there is the Fessenden Center, a multi-generational facility with programs in athletics, arts, and wellness. But who was Reginal Fessenden? I knew that Fessenden was involved with early developments in radio transmission, but I didn't know many details. So I finally did a little research. Reginald Aubrey Fessenden was an inventor who was born in Canada in 1866. Although from Canada, Fessenden did much of his work in the United States. During his life he was granted numerous patents, but he is remembered primarily for his work in the development of radio and sonar. When he was 33 years old he designed a radio receiver, and was successful in sending radiotelegraph messages between Pittsburgh and Allegheny City, Pennsylvania. In 1900 Fessenden moved to North Carolina to work with the United States Weather Bureau. 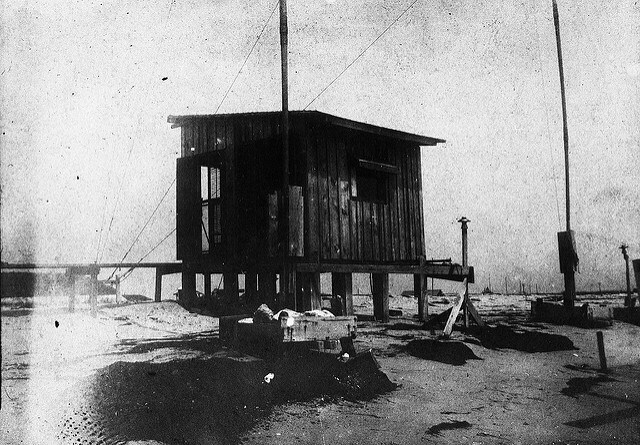 His goal was to develop a network of coastal radio stations that could transmit weather information wirelessly, without the use of telegraph lines. On December 24, 1902, Fessenden, was able to broadcast the first intentional wireless radio signal. He played his violin and read a passage from the Bible. The message originated from Buxton, on Hatteras Island, and was received on Roanoke Island, 48 miles to the north. Reports stated that this transmissions was “very loud and plain” and as easy to understand as hearing sounds over an ordinary telephone. Although Fessenden is still remembered on the Outer Banks, his experimental station at Buxton no longer stands. However, I understand that the foundations for a tower used by Fessenden are still visible. Among other accomplishments, Fessenden is credited with the first two-way radiotelegraphic communication across the Atlantic Ocean (in 1906). Reginald Fessenden died in 1932. 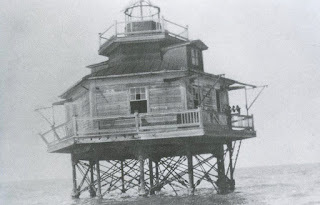 For more information about Reginald Fessenden and his connection with the Outer Banks click here. 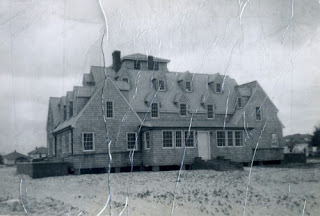 Ever since the demolition of the two structurally unsound wings of the old Odd Fellow's Lodge/Island Inn people have been asking me if Mrs. Godfrey's ghost will continue to haunt the remaining center section. I assure them that Mrs. Godfrey is just as sure to be there as she ever was. You haven't heard about poor murdered Mrs. Godfrey and her spooky appearances in the Lodge? No? Then be sure to read our latest Ocracoke Newsletter. It is my account of Mrs. Godfrey's ghost, taken from Chapter Three of my book, Digging up Uncle Evans. You can read the account here: https://www.villagecraftsmen.com/mrs-godfreys-ghost/. Carl Goerch, in his 1956 book Ocracoke, writes, "The moving picture theatre, which occupies the southern wing of the Wahab Village Hotel, isn't making anyone rich. Shows are run on Tuesday and Saturday nights. Admission is 40 cents for adults, 25 cents for children. Seating capacity is around 250. There's nothing fancy about interior decorations. The film costs $16.50. Then there's the cost of postage, wages for a machine operator, lights and power, etc. [C.F.] Boyette [the manager of the hotel] figures that the total cost involved in producing one show is $30." Bobbie Rondthaler who spent summers on Ocracoke in the 1940s and 1950s remembers the movies: "[I have] great memories of going to the movies on Ocracoke on hot summer nights. The windows were open to catch any breeze that passed by, but there were no screens. This meant lots of mosquitoes. The solution to both the heat and the mosquitoes was to use one of those old-time paddle-shaped fans, cardboard on a wooden handle, advertising some funeral home on the mainland. That was nightlife on Ocracoke." If you have ever wondered how the street you live on or vacation on got its name, or are just curious about other street names, take a look at this month's Ocracoke Newsletter. We have compiled a list of every official street in Ocracoke village, along with one or more paragraphs explaining how they came to be named. You can read the Newsletter here. Over the past 300 years many people have speculated about Capt. Edward Teach's treasure. It seems that nearly every kid, and not a few grown-ups, who step on Ocracoke Island imagine digging for that buried chest of gold. To my knowledge, none has ever been found. Israel Hands, also known as Basilica Hands, was an 18th-century pirate best known for being second in command to Ocracoke's most famous pirate Edward Teach (Blackbeard). 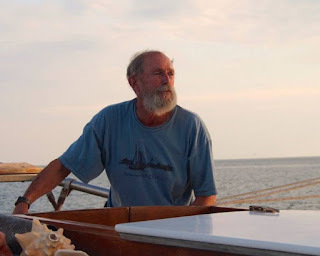 Captain Rob Temple of the schooner Windfall II composed a delightful poem about Israel Hands. In case you've never heard him recite it, the Captain gave me permission to publish it below. And for more information about sailing with Captain Rob on the Windfall II, click here. “Right you be Governor,” he said with glee. to tell of a pirate's comeuppance. all crippled and cast on the beach. Well if not admired then envied at least by all who ever go word of him. and swinging his cutlass with powerful blows he would charge into battle like that. and after that war come to an end we took up buccaneerin'. We took the Concorde from the frogs and renamed her Queen Anne's Revenge. Fitted her out with 40 guns and commenced a piratical binge. and Teach stole this, curse his eyes. at our base in the central Bahamas. attended by dark skinned mommas. where we constantly pillaged and plundered. whenever our 40 guns thundered. and in need of mercurial ointment. a thing to remember her by. in search of a medicine chest. while our patience was put to the test. as our captain recovered his health. 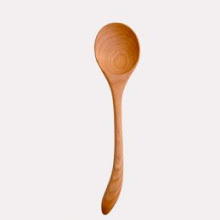 for properly splitting the wealth. So we ran her ashore in the pretense of cleaning the bottom. and left them all there and forgot them. and headed her north up the coast. I could navigate better than most. We all knew where Teach was leading. Up Pamlico river in old Bath town we surrendered to Governor Eden. For the King hath a pardon for penitent pirates. He called it the Act of Grace. and settled right into the place. and we longed for a life on the sea. No pirate likes to be stuck on the beach. We pirates we need to be free. a course to the northward we lay. they was plotting to throw us in jail. so we returned to our sloop and set sail. and we scared them right out of their pants. but the other had sugar and such. and we cast them away without much. Teach claimed that we found her adrift. Blackbeard declared her to be a leaky old clunker. we towed her out well into the river and sunk her. The success of our venture inspired us all with the need of a celebration. So on Ocracoke we greeted the fall with some festive recreation. the rum and the good cheer was shared all around in a pirate saturnalia. was so many pirates pitching their tents with music and drinking galore. and the rumor soon spread that we planned to erect a fort there on Ocracoke. .
they expected no help to come forth. So the gentry they decided to send a request for aid from the north. from some shady dealing he'd done. or capture him, bring him back. and the ball it tore my kneecap off and I cursed him for all I was able. and I never saw him no more. The doctor there cut off my leg. and my dancin' days was all through. it was all for the best things turned out like they done. or tried in Virginia and hung. and go this head cut off from his neck. and surrendered right there on the deck. to make the long trip up back to Virginia for trial. who'd been taken there by mistake. but I got a miraculous break. that the King had extended his pardon. here to London to spend my existence. so I drew out a flask from my cloak. I offered a drink to the bloke. his face as gray as a ghost. “May your whistle stay wet. May your powder stay dry. May you keep all your parts when life's cannonballs fly. With the treasure of friendship may your ship be supplied. Probably the most fondly remembered mailboat to connect Ocracoke with the mainland was the Aleta which served from 1930 to 1952. I have written about this vessel several times (click here to access other blog posts about the Aleta). However, there were other diesel-powered mailboats in the early twentieth century: the Kitty Watts, the Meteor, the Hero, the Viola, the Lillian, and the Ripple. In the nineteenth century and before, bugeye sailing vessels brought mail and freight to Ocracoke. 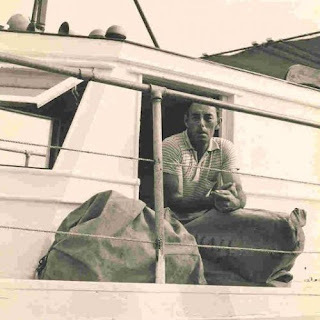 In 1953, after the owners of the Aleta lost the mail contract, Ansley O'Neal, captain of the Dolphin, began bringing mail to the island. During the summer months the mail boat will carry as many as thirty-five passengers. At other times there may be only four or five aboard. In addition to mail and passengers, the boat also hauls considerable freight. This is stowed away in the hold and on deck. There are benches on which you can sit with a fair degree of comfort. If the boat is crowded, you can find a resting place on an empty fish box or take your seat on some of the packages of freight. If it starts raining, everybody tries to get down in the cabin Those who are unsuccessful in doing this cheerfully remain on deck and get soaked. There's usually an awning over the afterdeck. If you can't get under the awning you stand a fine chance of getting one of the best sunburns you've ever had. Doesn't sound particularly appealing, does it? However, I don't believe I've ever heard of anybody complaining. Everybody seems to enjoy the trip." An undated newspaper clipping in a scrapbook of the Ocracoke Preservation Society gives a glimpse of travel opportunities years ago. I believe the clipping was from the mid-1950s, based on the age of Danny Garrish (born 1936) and the fact that the pilot, Bill Cochran, was living in Buxton until 1957. Also, Ocracoke's airstrip was contructed in the earlym 1960s. "Mrs. Lucille Garrish and Danny Garrish returned Sunday from Greenville, coming by car to Buxton and from there by plane to Ocracoke. Pilot of the plane, Mr. Cochran, has found a new landing stretch for his cub plane back of the Coast Guard Station on the Pamlico sound side." I recently came across information about the 1922 Northwest Point Light, near Ocracoke. According to the Ocracoke Preservation Society, this was "a screwpile lighthouse, typical along the North Carolina sound waters. Installed in the years immediately after World War I, these beacons were built to guide mariners through Ocracoke Inlet, past Portsmouth Island, and across the Pamlico Sound. Today, this screwpile lighthouse design has been replaced with lighted channel markers and is no longer used." The structure has been gone for many years. Photo courtesy Outer Banks History Center. The Herbert C. Bonner Bridge across Oregon Inlet opened in 1963. You can read more about the bridge here: https://www.outerbanks.com/herbert-c-bonner-bridge.html. "Well, they had like a corral, and they'd run 'em [the sheep] in it, and then there was this big sheet- matter of fact, I just got back pictures on it. I took pictures of it. And, uh, they had like a ramp going up to the thing, this big cement thing filled with some kind of stuff with dip in it, you know. And they [the sheep] would run off of the ramp into it. And it was so deep that they would go under, so that it completely covered 'em. And it was on a slant, and they would come out the other end. And they'd run 'em through that to kill the ticks. And, I mean, the park didn't know about it and didn't an- I mean, we find something that they didn't know about and we could tell them, and that's pretty exciting." You can read the entire transcript here: https://ils.unc.edu/afporch/audio/dialect/36.html. NCpedia has an interesting article about the early 1920's "Tick War" that eventually led to the elimination of all free-ranging livestock on Ocracoke Island. You can read it here: https://www.ncpedia.org/tick-war. Until the mid 1970s, when monofilament nets began to be manufactured, Ocracoke fishermen relied on cotton nets. These were hand-sewn, often with help from fishermen's wives. Cotton nets represented a significant investment of time and labor, and they were carefully dried, stored, and mended when necessary. 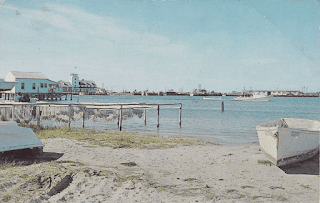 Net houses, small buildings on the ends of docks, or along the sound shore, were used to store nets, decoys, and other equipment. 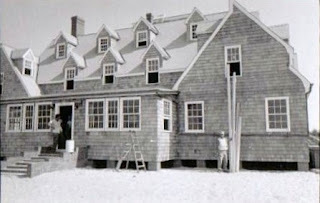 1936...Wahab Village Hotel (now Blackbeard's Lodge), the island's first modern hotel, opens. 1943...The first road is paved (a one-lane concrete road paved by the US Navy; it proceeded from the Navy Base, down Back Road, and up Sunset Drive to the intersection of Cutting Sage Road & Trent Road). 1950...Frazier Peele begins operating ferry service at Hatteras Inlet. 1951... The state of North Carolina begins paving other roads in the village. 1957...NC12 (from the village to Hatteras Inlet) is paved; the state of NC takes over operation of ferry service across Hatteras Inlet. 1961...Ferry service established between Cedar Island and Ocracoke. 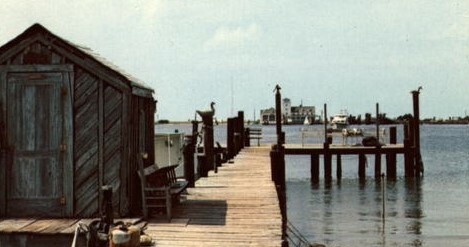 1977...Ferry service established between Swan Quarter and Ocracoke. 1977...Ocracoke gets a reverse osmosis desalination municipal water system. The late 1970s...ABC store is established on the island. 1981...Dr. Warren Silverman comes to Ocracoke; the island's first resident doctor in forty years. 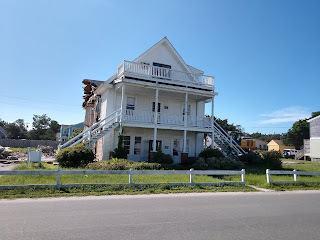 1987...Ocracoke's first harbor-front condo opened. 2006...Liquor by the drink is approved. 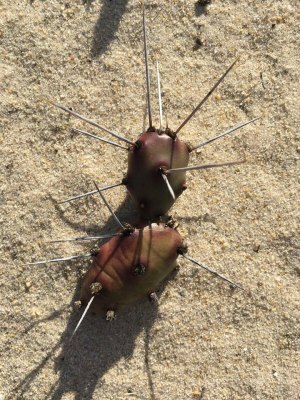 If you venture very far off the beaten path on Ocracoke Island you are likely to encounter "pickle pears." That's not their real name, of course, but it is the name often used by old-time O'cockers. They are prickly pears, cacti that grow abundantly in the sand dunes in certain locations on Ocracoke. These deep purple and green cacti with long, sharp needles, grow close to the ground, and are easy to miss seeing. But your feet can usually find them!! Crystal Canterbury has written an engaging and informative article about prickly island plants. You can read it here: http://www.ocracokecurrent.com/149455.